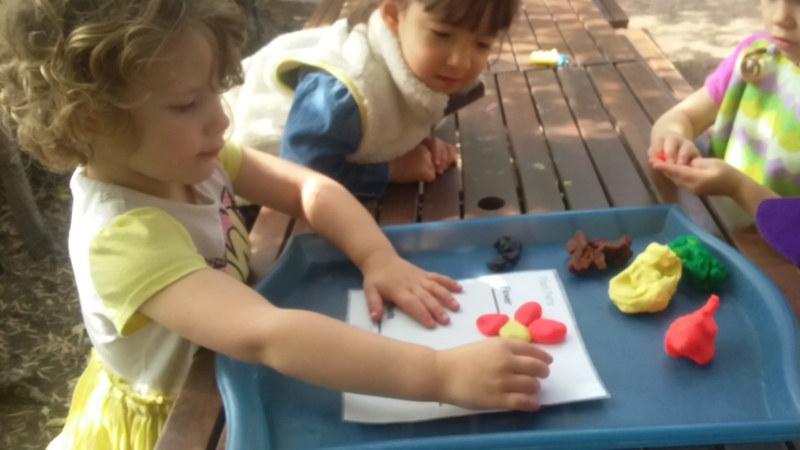 Teaching preschoolers about the three main parts of a flower — the roots, stem and flower petals — is best accomplished through simple language. This activity required several steps. 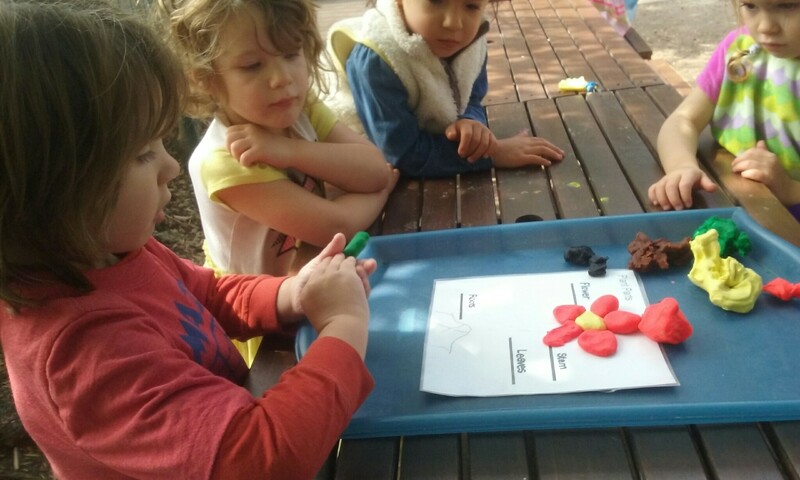 Your little ones were initially introduced to the roots of a flower by learning that the roots are what hold the flower in the ground. This information was followed up by us pulling a flower out of the ground. Your budding florists were able to see the roots come up out of the ground. Students were then encouraged to touch the roots. 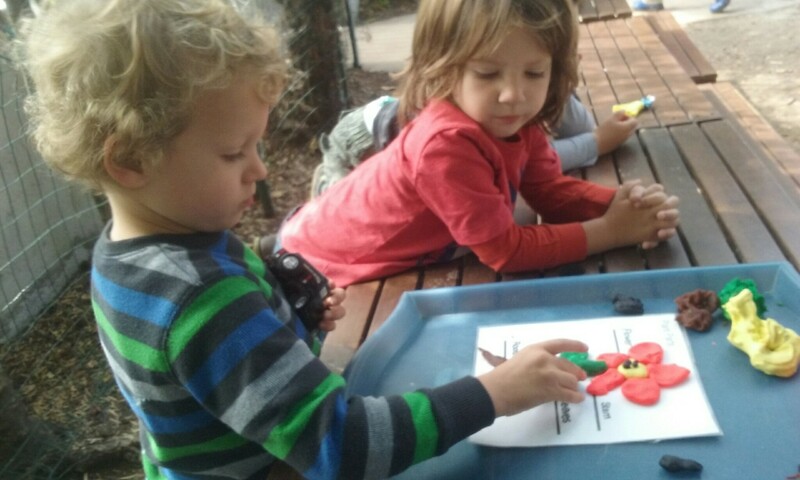 As they examined the roots, they were told that the flower’s roots are like their mouths: the roots are how the flowers get food from the soil. We then replanted the flower being used in the demonstration. 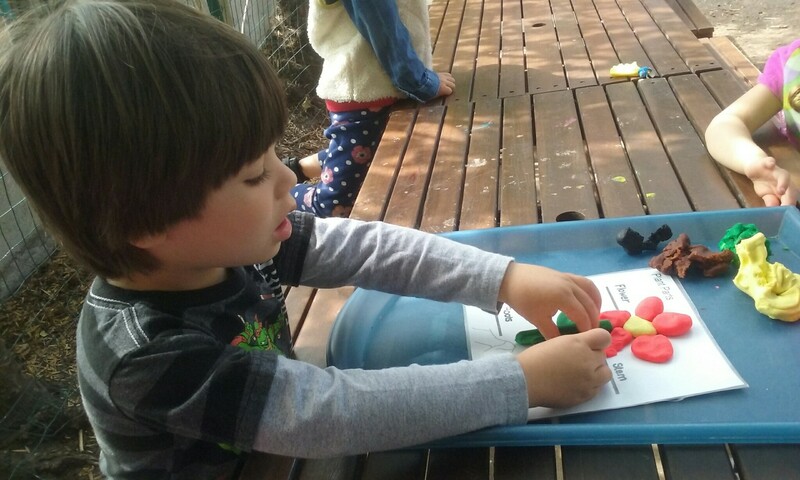 As we finished patting supportive soil around the stem, your preschooler’s attention was directed to the stem. 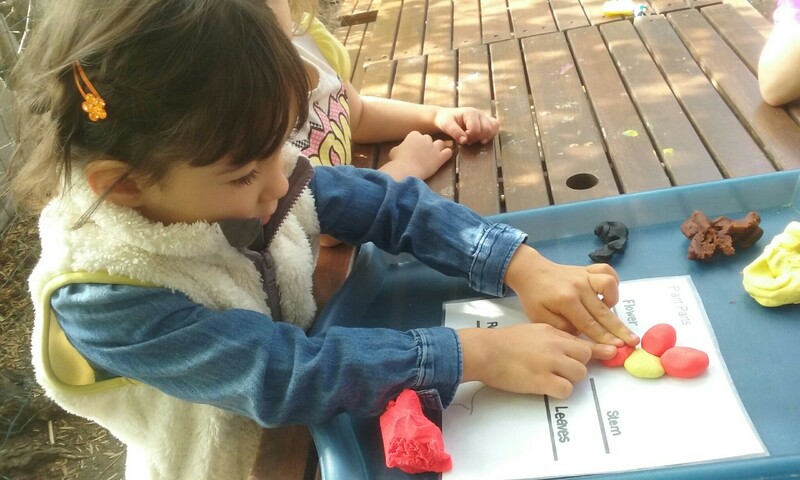 You child was then informed that the stem is what holds the flower up. It was compared to their legs which support their bodies. They were told that the stem brings the food from the roots to the rest of the flower. 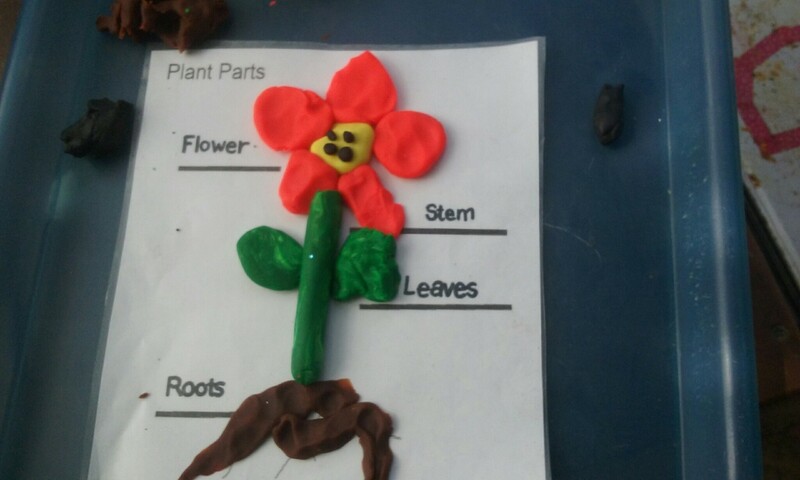 Lastly, we learned that the flower at the top of the stem is called the petals. Your little one was told that this is the part of the plant that makes more flowers. 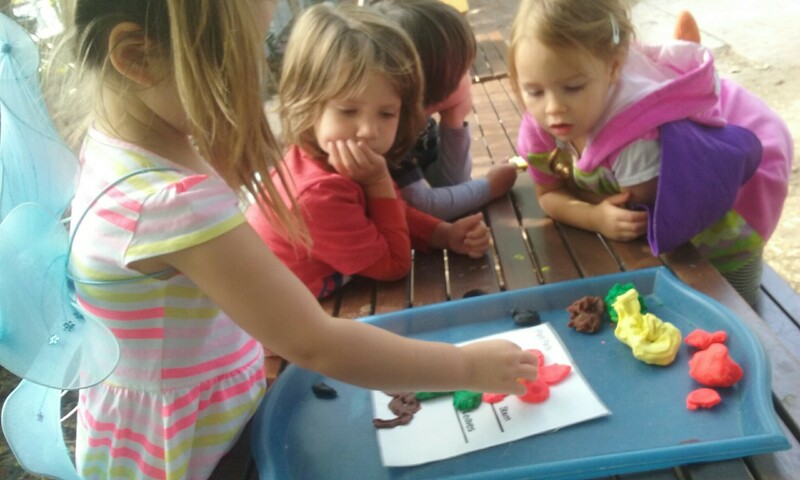 To help apply their understanding of this new vocabulary, we created our own flowers out of playdoh! 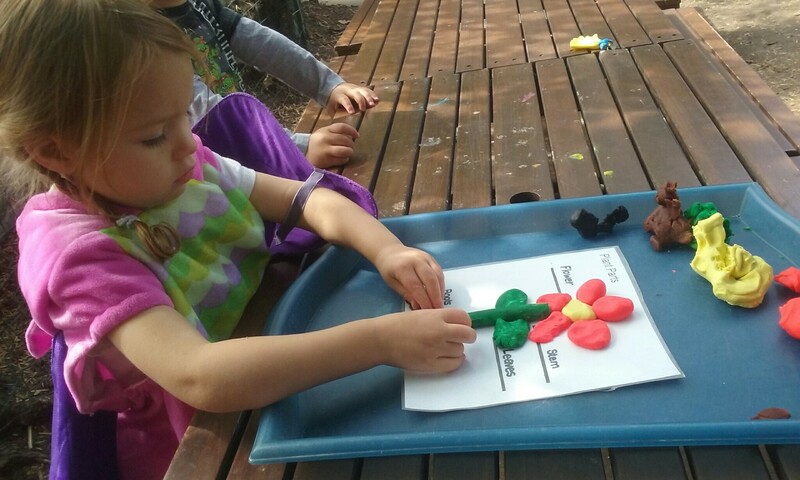 Using a diagram, your little one created roots, a stem, the flower petals, and seeds!